The Niger Coast Protectorate, a territory originally known as the Oil Rivers Protectorate, was a typical colonial "company territory" managed by the Royal Niger Company, which controlled the land, its resources, and its people, for the betterment of its shareholders. The company surrendered its charter to the Crown in 1899, and the Protectorate was incorporated into the two new territories of Northern and Southern Nigeria, which were combined to form the colony of Nigeria in 1914. During its seven-year existence, the Protectorate issued 63 stamps (plus varieties), including some notable rarities. Among the more affordable and accessible is its last issue, the 1897-98 Definitives (Scott #55-63), the third such issue with a design portraying an elderly Queen Victoria. 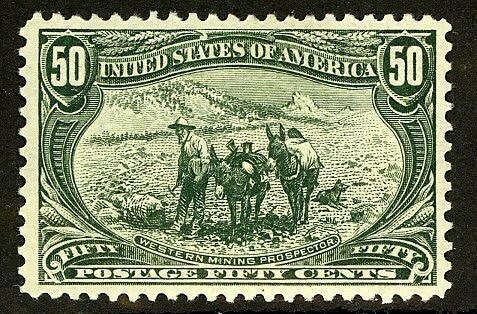 Only 5,500 sets were issued, and Scott '10 values the set unused at $ 193.25 . 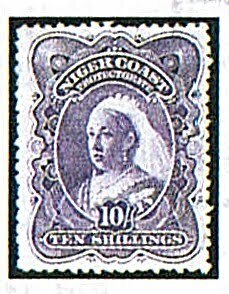 Stamps of Niger Coast Protectorate have the potential for dual market appeal among collectors of British Commonwealth and Nigeria. A nation of over 154 million people, Nigeria is an an emerging market country, and is rapidly approaching middle income status, with an abundant supply of resources, well-developed financial, legal, communications, transport sectors, and a stock exchange which is the second largest in Africa. It is the eighth largest exporter of petroleum in the world. GDP growth has averaged almost 6% over the last 5 years. However, the country also has major problems, including corruption, human rights abuses, grossly unequal distribution of income, and internal religious and tribal conflicts. Based purely on the growth of demand from British Commonwealth collectors, the set represents a conservative investment with little downside risk. Should Nigeria develop even a modest base of stamp collectors, the set will soar. Those interested in becoming part of an international community of stamp collectors, dealers, and investors are welcome to join the "Stampselectors" group at Facebook. The group hosts lively discussions concerning stamp investment and practical aspects of collecting, as is also an excellent venue for those who wish to buy, sell, or trade stamps.